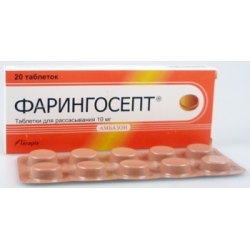 Faringosept is a powerful antiseptic and bacteriostatic used to combat mouth inflammations and upper airways inflammations. Faringosept doesn't have any negative effect on gut organisms. 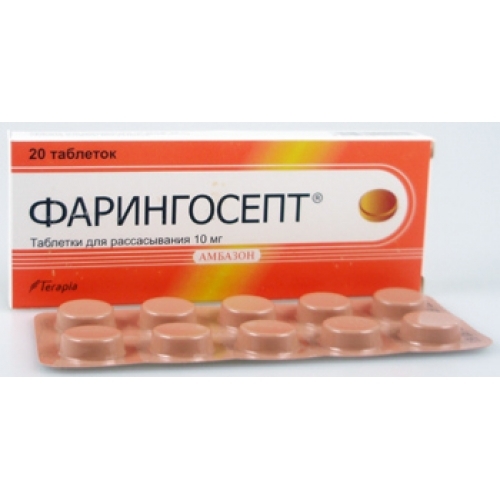 Indications for Use: Prevention and treatment of infectious and inflammatory diseases of mouth and throat: tonsillitis, gingivitis, stomatitis, stomatitis, pharyngitis and other mouth inflammations.